I first tried this beet inspired beer on a brewery tour in Burlington, Vermont. I was surprised last year when the trial batch was selected for the spring seasonal. Wacko seemed to receive an overwhelming response, selling very well in New England. Crisp like the morning, cool like the evening and quenching all day long. Pop the top and set your summer loose. 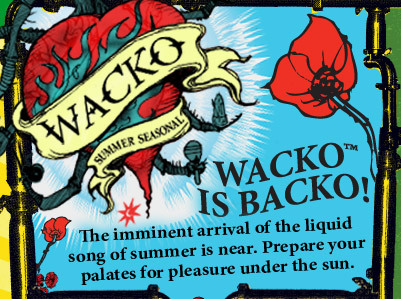 Wacko is a delicious summer beer with a big malty aroma, a subdued hop bite and a clean, slightly sweet finish.